No trip is complete without a new ensemble, memorable memento or timeless souvenir to mark the occasion. Hunt down deals and indulgences in these historic districts, shopping centers and retail shops. Beautiful scenery, friendly people and fascinating history and interwoven into the tapestry that is Historic Monument. Explore downtown for contemporary collectibles. Curated with unique and trendy stsles, every piece at Frayla Boutique tells a story. Their merchandise is socially responsible, so when you shop here, you impact the world (and your wardrobe) in a positive way. 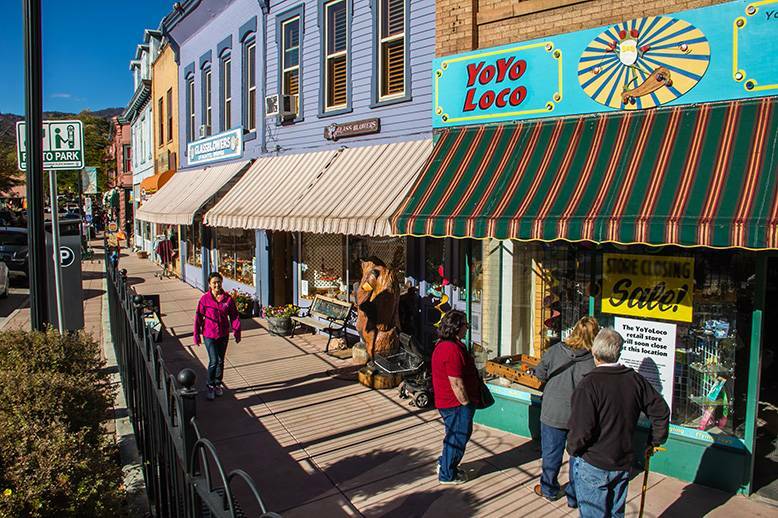 Explore this quaint mountain town just west of Colorado Springs. 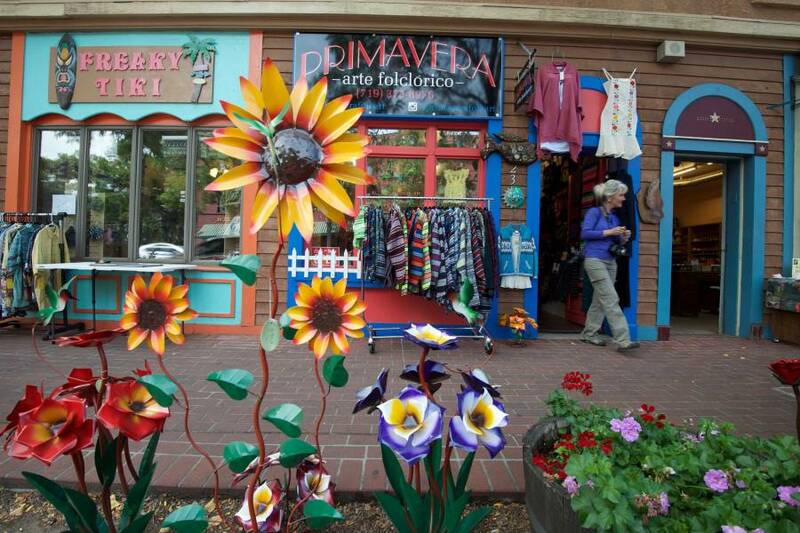 Find a variety of galleries, boutiques and local shops along a serene tree-lined main street. Indulge in Colorado wine, decadent chocolate and hand-made bath and body treats. Enjoy historic architecture while perusing fine art, jewelry and apparel. From cute children’s clothing to souvenir T-shirts, these boutiques offer one-of-a-kind pieces to fill your wardrobe. Visit one of the local art galleries to find the perfect item to decorate your home. A local favorite! This is more than just a shopping experience. In addition to the numerous retail options, you can also enjoy a movie, relax in the park, treat yourself to a scrumptious dining experience and attend one of their year-round events including car shows, concerts and more. 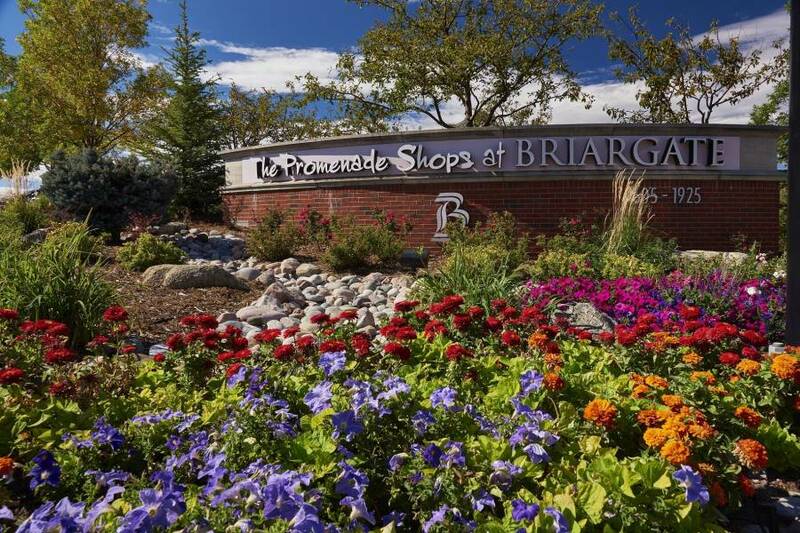 Find an array of bargains on top brands at Colorado’s largest outlet center, conveniently located off Interstate 25, just north of Colorado Springs. Easily walkable and pet-friendly, the outlets host more than 100 stores including Michael Kors, Coach, Ralph Lauren, Nike and H&M. Take advantage of ample parking and a wide variety of national specialty stores. The open-air-style center allows you to browse and shop while still enjoying tremendous Colorado views. This popular shopping area is located at the north end of town, near Focus on the Family and the United States Air Force Academy.